Please review these Terms regularly. The Terms may change at any time. 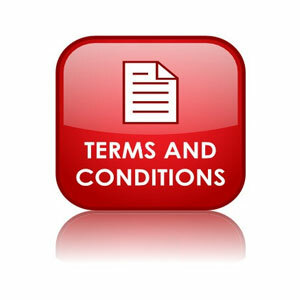 By using the Site after a change in the Terms, you agree to follow and be bound by the Terms as changed. Unless otherwise expressly noted, you should assume that everything you see, hear, or otherwise receive from or on the Site (the "Content") is copyright, trademark, trade dress or other intellectual property owned or licensed by TotalBen ("TotalBen"). The Content includes, without limitation, images, graphics, photographs, trademarks, logos, text, articles, documents, sounds, the Site as a whole and any other materials at the Site. Nothing in the Terms transfers to you any right, title or interest in any Content, including any intellectual property or content of third parties included on the Site. You may use or download Content for research or educational purposes, or for your personal, noncommercial purposes, provided you keep unchanged all copyright and other notices with them. No other use of any Content is permitted. You agree that you will make only lawful use of the Site, and will only use the Site in compliance with all federal, state and local laws and regulations. You agree that you will make no use of the Content that violates anyone else's rights, including copyright, trademark, trade secret, right of privacy, right of publicity or other rights. TotalBen may change, suspend or discontinue any aspect of the Site at any time, without prior notice, including the availability of any Site feature, services or Content. TotalBen may restrict your access to certain features, services or Content at any time, without prior notice. The Site may contain links to third party sites. Any outside links are provided only as a convenience. Your use of outside links is at your sole risk. Any links from the Site do not constitute TotalBen's endorsement of any third party, its website, or its goods and services. TotalBen is not responsible for any outside websites, services or other materials linked to or from the Site, and disclaims all liability for any injury you may experience by using such materials. If you have any concerns regarding any outside website linked to or from the Site, please direct them to the owner or operator of the outside website. Unless otherwise expressly noted, you should assume everything you see, hear, or otherwise receive on or through the Site is copyright owned or licensed by TotalBen. If you would like to request copies, or to copy or distribute materials contained on the Site, other than for noncommercial, personal use, please contact us. TotalBen, its logo, and the term "Opening the Door to Benefits" are trade marks and service marks of TotalBen. Use of any TotalBen trademark, service mark, logo or trade dress is prohibited without the prior written permission of TotalBen. TotalBen opposes the use of unsolicited mass commercial e-mail messages ("Spam") as an advertising method. If you receive any unsolicited mass commercial e-mail messages that looks as if it is from TotalBen or an employee of TotalBen, please notify us immediately at abuse@TotalBen.com. TotalBen will investigate all instances of unsolicited mass e-mail messages that appear to originate from TotalBen. If we find other persons or entities using our name inappropriately, we will take all appropriate legal action. YOUR USE OF THE SITE IS AT YOUR OWN RISK. TO THE FULLEST EXTENT PERMITTED BY LAW, TOTALBEN MAKES NO REPRESENTATIONS OR WARRANTIES OF ANY KIND IN CONNECTION WITH THE SITE. TOTALBEN PROVIDES THIS SITE, ALL CONTENT, ALL INFORMATION AND SERVICES OFFERED ON OR THROUGH THE SITE "AS IS." TOTALBEN EXPRESSLY DISCLAIMS ALL EXPRESS OR IMPLIED WARRANTIES, INCLUDING BUT NOT LIMITED TO THE ACCURACY, COMPLETENESS, IMPLIED WARRANTIES OF MERCHANTABILITY, QUIET ENJOYMENT, FITNESS FOR A PARTICULAR PURPOSE OR NONINFRINGEMENT OF ANY CONTENT OFFERED ON OR THROUGH THE SITE. TOTALBEN WILL NOT BE LIABLE FOR ANY DAMAGES RELATED TO YOUR USE OF OR INABILITY TO USE THIS SITE, INCLUDING WITHOUT LIMITATION, DIRECT, INDIRECT, SPECIAL, COMPENSATORY OR CONSEQUENTIAL DAMAGES, LOST PROFITS OR LOSS OF OR DAMAGE TO PROPERTY, EVEN IF TOTALBEN HAS BEEN ADVISED OF THE POSSIBILITY OF SUCH DAMAGES. Some jurisdictions may not allow the exclusion of implied warranties, so some of the above exclusions may not apply to you. TotalBen does not warrant that your use of the Site, the operation or function of the Site, or any services offered on or through the Site, will be uninterrupted or error free, that defects will be corrected, or that the Site or its server are free of viruses or other harmful elements. TotalBen does not make any representations regarding the currency, accuracy or reliability of information on the Site. You agree to assume full responsibility for any use of any information, goods or services offered on or through the Site. You understand and agree that TotalBen will not be responsible or liable for any claim, loss or damage arising from the use of any information, goods or services. You agree to defend, indemnify and hold harmless TotalBen and its officers, directors, owners, agents, employees, affiliates, licensees and licensors from and against any and all claims, damages, costs and expenses, including reasonable attorneys' fees, arising from or related to your use of the Site in violation of any of the Terms. Your failure to comply with the Terms automatically revokes your authorization to use the Site and terminates any and all rights granted to you under the Terms. Your obligations to TotalBen will continue upon termination of your rights under the Terms, including restrictions regarding the Content, disclaimers, indemnification obligations and liability limitations under the Terms. Upon termination of your rights, you must promptly destroy all Content downloaded or obtained from this Site, as well as all copies of any Content. The Terms will be construed according to the laws of the State of New York, within the United States of America, without regard to its conflicts of laws principles, and in accordance with the laws of the United States of America. Any dispute arising under or relating to the Terms, the Content, the use of the Site, or any services obtained using this Site, shall be resolved by binding arbitration conducted in accordance with the Commercial Arbitration Rules of the American Arbitration Association; provided, however, TotalBen shall be entitled to seek immediate injunctive relief to enforce these Terms in the state or federal courts located in New York. Any arbitration shall be held in New York, and shall be decided by a single arbitrator. The decision of the arbitrator may be entered and enforced by any court of competent jurisdiction. Your use of the Site constitutes your consent to submit disputes to binding arbitration as provided herein, and to submit to the jurisdiction and venue of the state and federal courts located in New York. In the event of any dispute hereunder, the prevailing party shall be entitled to recover its costs and expenses incurred, including reasonable attorneys' fees. If for any reason an arbitrator or court of competent jurisdiction finds any provision of the Terms, or any portion thereof, to be unenforceable, that provision will be enforced to the maximum extent permissible so as to effect the intent of the Terms, and the remainder of the Terms will remain in full force and effect. The Terms are the entire agreement between you and TotalBen relating to the Site. Any other agreements between you and TotalBen regarding the subject matter of the Terms are superseded and have no force or effect. All rights not expressly granted herein are reserved.